I will be tattooing at the Ink Life Tour Tattoo Convention alongside some other amazing tattoo artists from my studio, Rebel Muse. 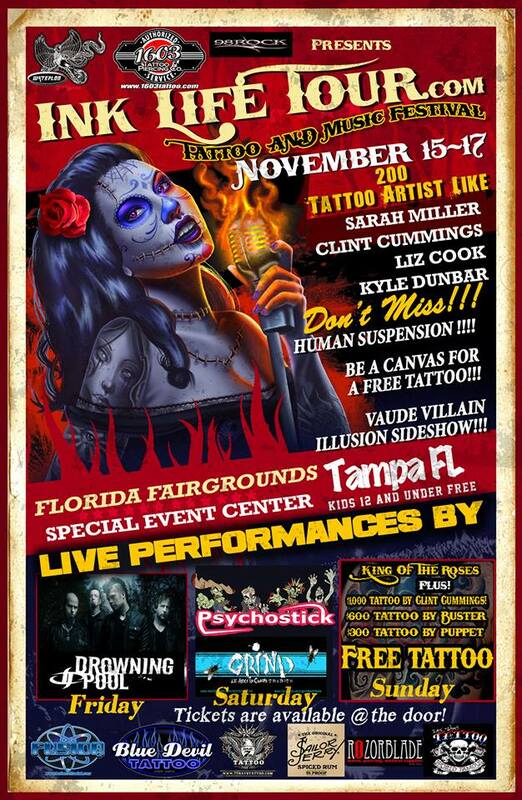 This tattoo convention with be held in Tampa, Florida on November 15-17. I have one tattoo appointment still available, so if you are interested in setting up an appointment for a custom tattoo, please contact me on here! I am very interested in tattooing more "Trash Polka" style tattoos and would like to do more custom black and grey tattoos. However, I am open to most ideas!